Thank you to all who attended the December 9 meeting. Public participation is an important part of the Community Plan process. 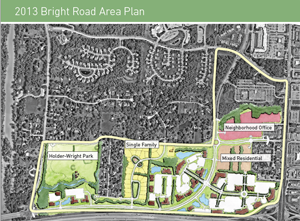 The input received through the community workshops, the Planning and Zoning Commission meeting, and online engagement effort will be used to refine the draft concepts for the Bright Road Area Plan Update. Since the public input focused on traffic problems and congestion issues in the area, Engineering staff is preparing a traffic comparison for trip generation between the 2013 Future Land Use Map and proposed changes to the Future Land Use Map. Widening of Bright Road between the Emerald Parkway roundabout to the west and Sawmill Road to the east. CH2M Hill is the consultant for this joint project. The project kick-off is tentatively scheduled for end of April, 2016. A public meeting will be scheduled to provide updates on study progress and receive input. Responding to resident concerns and Planning and Zoning Commission input, the proposed land use recommendations for the Bright Road Area Plan update will be re-evaluated based on the recommendations of this transportation study. The transportation study is an essential component informing the proposed land uses. 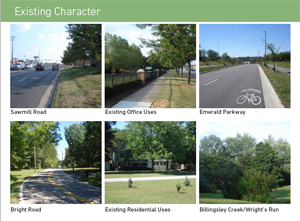 Staff is recommending that the Bright Road Area Plan update be resumed after the completion of the transportation study for uniform, sustainable, and informed land use planning. The land uses contained in the City’s current Community Plan will serve as the basis for projected traffic in the study. 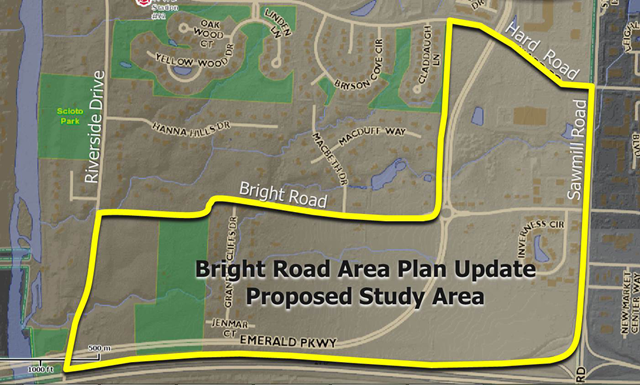 City staff will send periodic updates to the area residents regarding the Bright Road Area Plan update process and transportation study progress. Additional public meetings will be hosted to complete the future land use plan based on the transportation study recommendations. At that time, the plan will be brought back to the Planning and Zoning Commission for consideration. My family and I live at 6968 Grandee Cliffs Dr., the corner of Grandee Cliffs and Jenmar. We would really hate to see our wonderful and peaceful neighborhood ruined by extending Jenmar out to Emerald Parkway or another street. We really like the fact that our children can walk around our street without the worry of the additional traffic that extending our streets would surly cause. Please don't mess up our wonderful neighborhood by bring more traffic into it and creating a less safe place for our children.